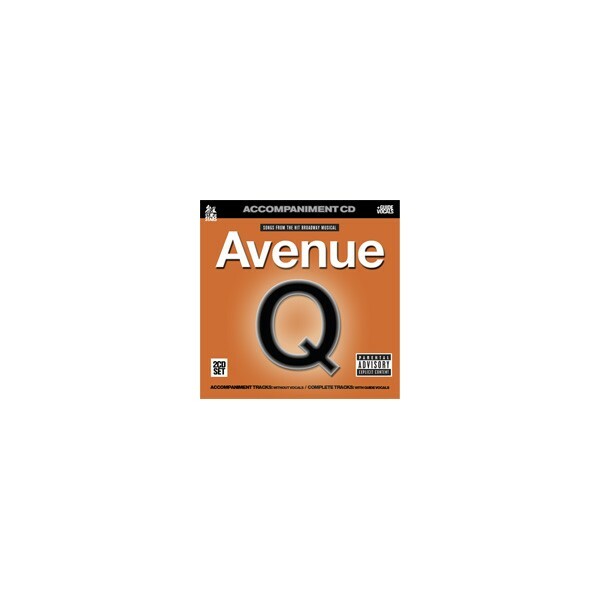 Winning the Tony Award for Best Musical in 2005, Avenue Q is the first major musical by the writing team of Bobby Lopez and Jeff Marx. There are 40 tracks on this album: Tracks 1-20 contain the background tracks and guide vocals; tracks 21-40 contain the accompaniment tracks alone. This album is a re-recording in the original show key and show tempo. Parental Notification: This album contains explicit lyrics. Stage Stars albums include professionally recorded guide vocals. Each song appears on the album twice: once with music and vocals, and once with accompaniment tracks alone. This allows the performer to learn a song by singing along with the vocals and music, then to practice their technique accompanied only by the background tracks. This album is recorded in CD, not CD+G format. There are no on-screen lyrics or lyric booklet provided.